Throughout the years, design styles have changed with available materials and developing techniques. 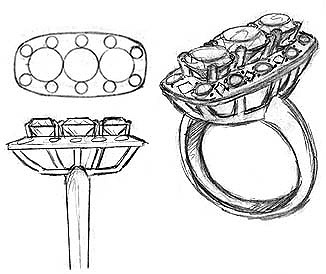 A rendering of a ring design before it is sent to the jeweler’s bench. Throughout the ages, dedicated craftsmen have created innovative work incorporating precious metals. 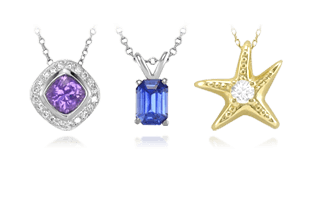 A few key examples of these craftsmen and the styles they created are provided below. 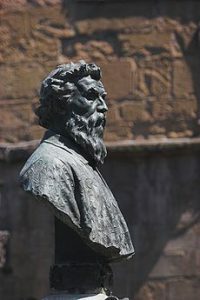 A bust of Cellini on the Ponte Vecchio in Florence, Italy. Benvenuto Cellini (1500-1571) was a renowned sculptor and goldsmith during the Renaissance. 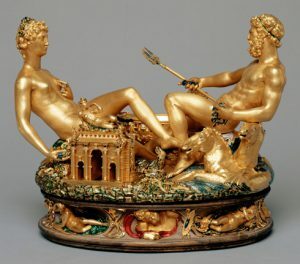 Although most of Cellini’s precious metal pieces have been lost, a single gold salt cellar and a few major sculptures remain that have secured his reputation. Cellini’s famous salt cellar made of ivory, gold, and enamel. In perhaps his most famous piece, Cellini’s salt cellar is made of gold, ivory, and enamel and was completed in 1543 for Francis I of France. 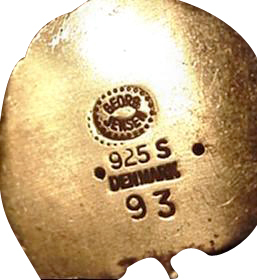 The gold was hammered into its shape by hand instead of being cast. Cellini also fashioned exquisite gold jewelry using a variety of decorative techniques including repoussé and chasing. Although no known jewelry has been definitively attributed to the artist, much of the finest jewelry of the Renaissance is attributed to Cellini or his atelier. 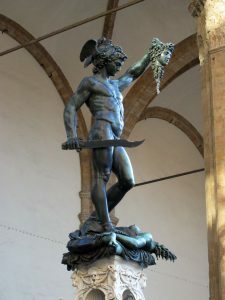 Cellini’s Perseus with the Head of Medusa in the Loggia del Lanzi in Florence. While employed at the Papal Mint in Rome, he also created the dies for several coins and medals. In his lifetime working for the papacy, Cellini created many famous medallions including the medallion of Clement VII commemorating the peace established between Christian princes in 1530. A noted artist, Cellini also produced writings on the craft of goldsmithing, sculpture, and design. Cellini’s patrons included Pope Clement VII (Rome), King François I (France), and Cosimo de’Medici (Florence). A portrait of Paul Revere by J.S. Copley. A famous poem by Henry Wadsworth Longfellow begins, “Listen my children and you shall hear of the midnight ride of Paul Revere.” The poem commemorates the actions of American patriot and silversmith, Paul Revere (1734-1818). 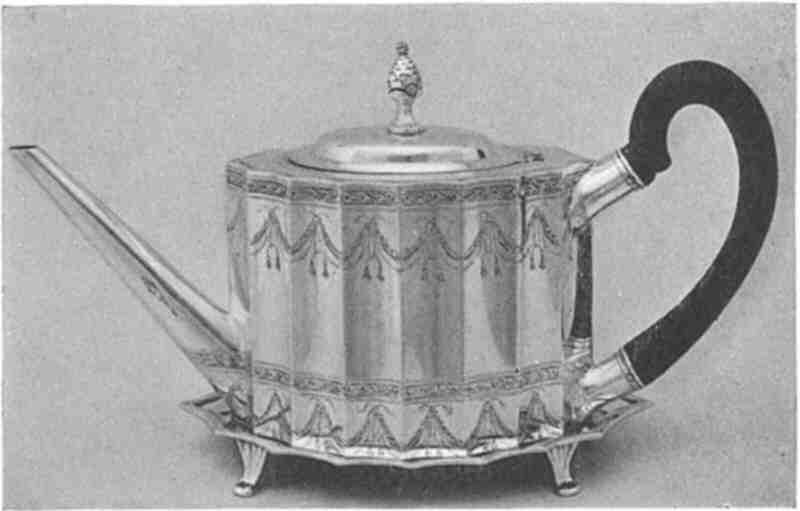 A teapot made by Paul Revere. Image from the Boston Museum of Fine Art. Paul Revere learned the silver trade from his father Apollos Rivoire, a Frenchman who settled in Boston and anglicized his name to Revere. Paul Revere became a prosperous silversmith, dentist, and member of the Sons of Liberty, an organization of rebels who protested British rule of the American colonies with seditious acts. Paul Revere is famous for warning American colonists about advancing British troops the day before the Battle of Lexington and Concord at the outset of the American Revolution. According to a prearranged plan, a bell tower sentry was instructed to hang one lantern to signal if the British advance was by land, or two lanterns if the advance was by water. Revere saw the sentry’s signal and set out on his famous ‘midnight ride’ to warn citizens to prepare for battle. 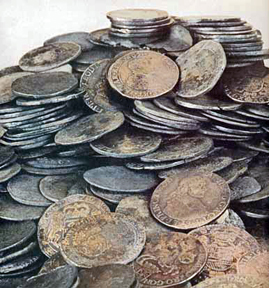 Coin silver was generally made from melted coins and was 90 percent pure silver. While many historians believe that Longfellow exaggerated the importance of Revere’s role as a patriot, they do not dispute his reputation as a silversmith. 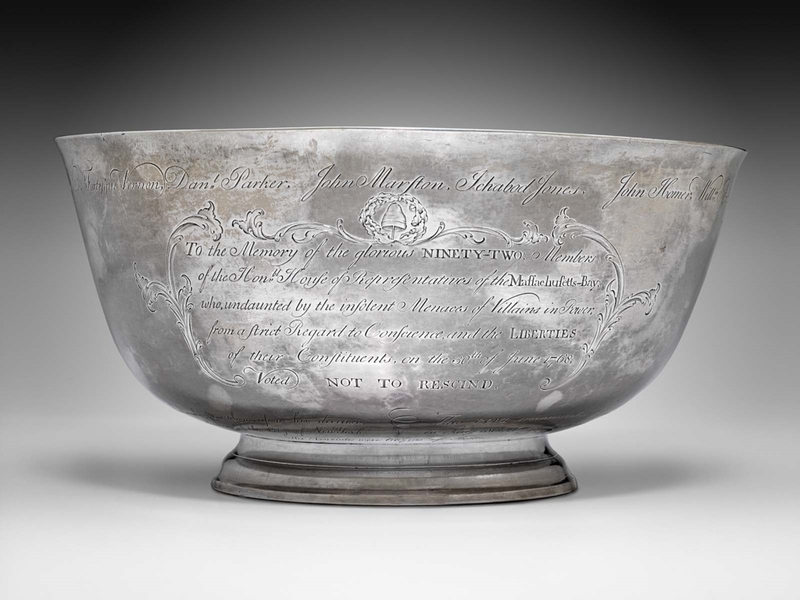 Boston, Philadelphia, and New York were important centers for silversmithing in early America. Colonial silversmiths produced a variety of products including porringers, tankards, chalices, spoons, candlesticks, bowls, cups, beakers, teapots, coffee pots, braziers, buckles, buttons, casters, chalices, ladles, salts, and pitchers. American silversmiths also frequently repaired existing silver pieces. Silver was in short supply in colonial America and it was less expensive to repair an object than to make a new one. 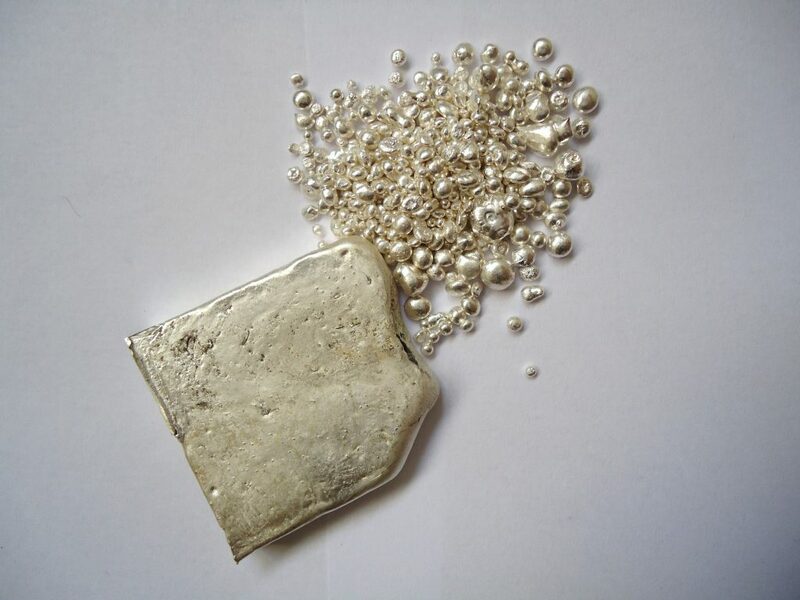 Much of the metal used to create new silver objects was obtained by melting coin or old silver objects that were out of style. Unfortunately this resulted in the destruction of many early works by American silversmiths. Because coin silver was used, many colonial silversmiths also did not adhere to the sterling standard. 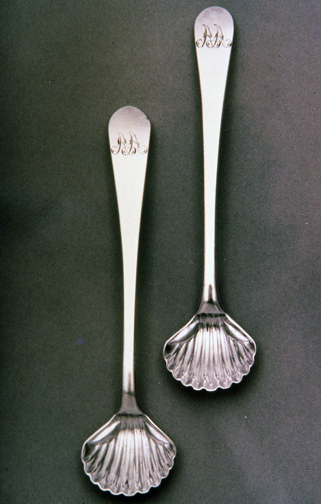 Silver spoons by Paul Revere.Collection, Paul Revere Memorial Association. Photo: John Miller Documents. The tools of the colonial silversmith included a variety of shears, hammers, mallets, swages, stamps, chisels, files, and pliers. Objects were made by hand with the use of anvils. Casting was done in sand. The bowls of spoons were hammered into shape with the use of lead or wooden forms and they were polished with pumice or rottenstone. Silver was occasionally annealed (softened) to relieve metal strain caused by the battery. Commonly known as work hardening, this strain inevitably occurs when most metals are hammered. Revere’s “Sons of Liberty” bowl. Image from the Boston Museum of Fine Art. Revere was also a competent engraver. He not only engraved his silver products, but also copper plates for printing. Revere’s usual mark was his surname enclosed in a rectangular lozenge. 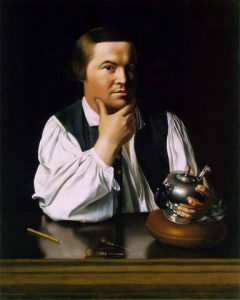 In some cases, it is difficult to distinguish Paul Revere’s work from his father’s because they often used the same hallmarks. However, the survival of some of his “day books” has enabled the history of a number of pieces to be traced. Arguably, Revere’s most famous work is his Sons of Liberty, or Rescinders Bowl, which is now in Boston’s Museum of Fine Art. Revere also established a bell and cannon factory in 1796, and these new projects eventually eclipsed his interest in silversmithing. Fortunato Pio Castellani (1794–1865) opened his antiques gallery and goldsmithing workshop in Rome in 1814. His early jewelry was inspired by traditional European aesthetics, and his designs imitated those of the fine jewelry centers of St. Petersburg, Geneva, Paris, and London. Although Castellani was an exacting craftsman, his early work lacked an originality that could elevate it above the work of his competitors. In the mid-1820s, however, Castellani befriended Michelangelo Caetani, the famous archaeologist, who was to inspire his future design work. Castellani became fascinated by the ancient jewelry and metal work being unearthed at archaeological sites in Italy. With his sons, Alessandro and Augusto, he spearheaded the revival of Italian and Greek jewelry by creating a style now referred to as Italian Archaeological Jewelry. Castellani was deeply involved in the cultural and political life of Italy, and his advocacy of Italian nationalism fueled his interest in reviving the styles and techniques of the ancient Romans and Etruscans. 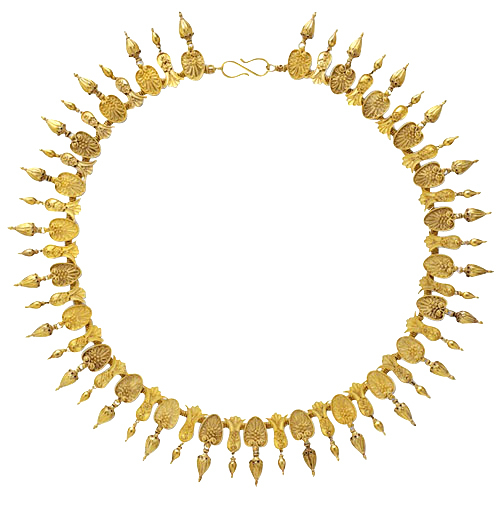 A gold necklace by Castellani. Castellani was intrigued by the exquisite craftsmanship employed by ancient Etruscan and Greek goldsmiths including their granulation and filigree techniques. He accumulated his own collection of ancient jewelry, which he used as prototypes for his revival pieces. 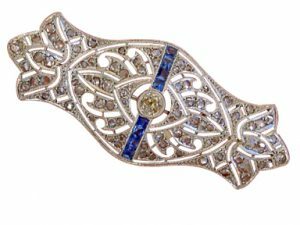 Castellani’s sons continued and broadened the tradition by including Byzantine and Carolingian designs, and they entered their jewelry at international expositions in Florence, London, and Paris. 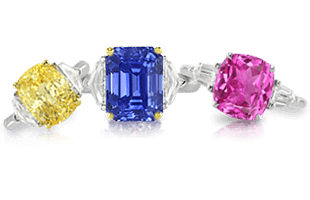 The widespread acclaim these pieces received increased public demand for the jewelry and gave rise to imitators throughout Europe. 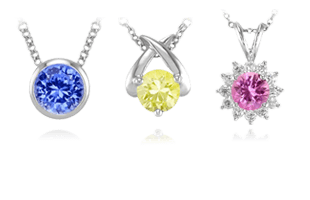 Castellani jewelry is very distinctive. 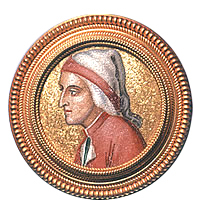 Hallmarks of the Castellani style include imitations of the ancient granulation and filigree techniques, as well as perfect miniature mosaics and fine enamelwork. Castellani pieces are exquisitely crafted and marked with a monogram of interlaced “Cs” facing back to back. 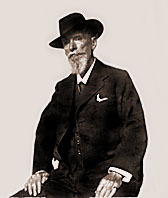 Carl Fabergé at 64 years of age. 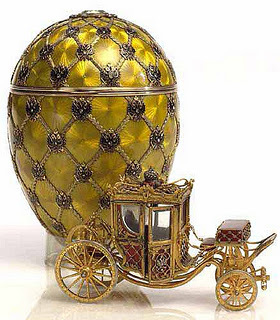 In 1885, Tsar Alexander commissioned Fabergé to create an Easter egg as a gift for his wife, Tsarina Maria Fyodorovna. 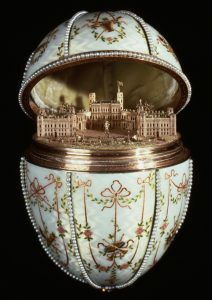 The Tsarina was so delighted with her gift that Fabergé was charged with producing a new egg for the Imperial Palace every year. When Tsar Alexander died, his son Nicholas II continued the tradition until 1917. In all, 56 imperial eggs were produced, although only 46 of them are known to have survived the ravages of the Russian Revolution. Each egg is a masterpiece of precious metals, gems, and fine enamel work. The intricate interior of the Gatchina Palace Fabergé egg. Although they bear his name, Fabergé’s famous eggs were actually produced by two of his master goldsmiths: Michael Evlampievish Perchin, who supervised the production of the eggs from 1885 to 1903, and Henrik Wigström, who was responsible for all eggs produced after 1903. 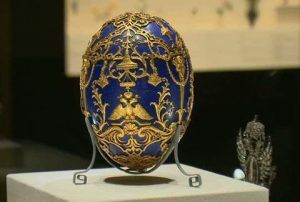 The Tsarevich Fabergé Egg on display. Carl Fabergé’s first love was goldsmithing, and with his staff, he learned to replicate the techniques of earlier artisans. He also developed new ways to enamel gold and other metals. One of his key contributions was to expand the palette of enamel colors to well over 140 shades. Although the Fabergé workshop is best known for its fabulous eggs, it also produced fine jewelry, silverware and carvings. 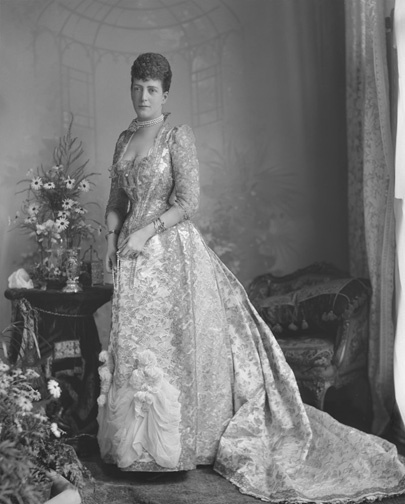 A portrait of Queen Alexandra in ornate jewelry and dress. 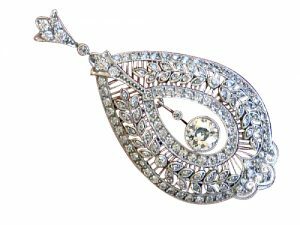 The term “Edwardian” refers to an ornate jewelry style that was popular during the reign of England’s King Edward VII (1901- 1910). The King and his wife, Alexandra, set the tone for what is called the Belle Époque, a time when both dress and ornament were extremely elegant and constructed with only the finest materials. An Edwardian brooch made of platinum, diamonds, and sapphires. 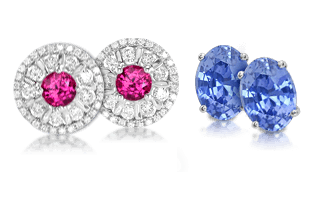 During this period the large jewelry houses, including Cartier in France and Tiffany & Company in New York, began to use platinum in jewelry. The strength of platinum made the light, delicate designs of the period possible. The period was marked by a rejection of the machine-made jewelry that had been a sign of innovation. The Edwardian Era is characterized by the use of eighteenth-century decorative motifs including garlands, ribbons, bows, and swags. Pearls and diamonds were also extensively used. 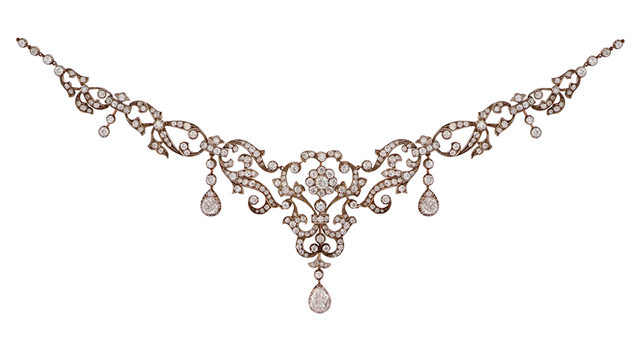 The jewelry of the time sought to be ethereal and light, evoking a tone of delicate beauty. A delicate, lacy Edwardian pendant. In 1903, the invention of the oxyacetylene torch, allowed jewelry to be made solely from platinum. The torch could reach the temperatures necessary to manipulate platinum and fully exploit its strength to create pieces that resembled “petit point” embroidery and fine, delicate, sophisticated jewels resembling diamond encrusted lace. This strength and rigidity allowed the jeweler to mount stones in minimalist settings that made them appear airy and soft. A platinum and diamond Edwardian ring set with a European cut stone. 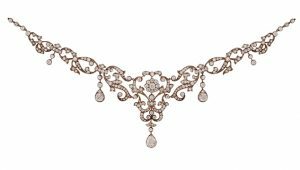 After the royal couple visited India, exotic influences also permeated jewelry fashions and women began to wear platinum and diamond aigrettes , sautoirs , lavaliers , and “dog collars” or chokers. The intent was to use as many diamonds as possible in the design. 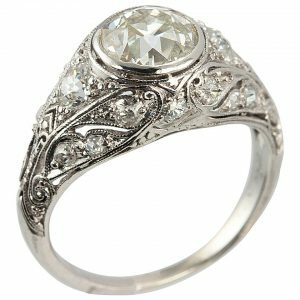 Today, lacy diamond engagement rings from the period are very popular. The diamonds in these antique rings have Old Mine and Old European cuts. These stones were hand-cut and the precursors to the modern round brilliant cut. 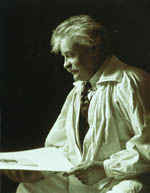 A portrait of Georg Jensen. Georg Jensen (1866-1935) was a famous Danish silversmith. Although his company employed many artists and craftsmen who each produced their own designs, all work was executed within the framework of a recognizable style and with superb craftsmanship. This style became known as the “Georg Jensen” style. 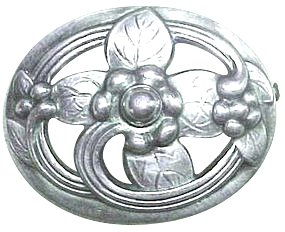 A Georg Jensen silver brooch. 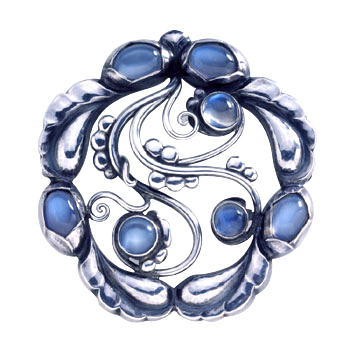 A Georg Jensen silver brooch set with semiprecious stone cabochons. Jensen exhibited for the first time as an independent silversmith at the Museum of Decorative Art in Copenhagen in 1904. 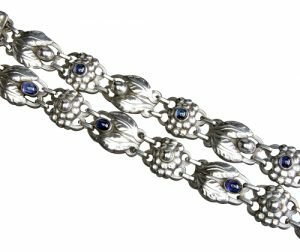 Early in his career, he mainly produced jewelry because it required less capital investment than silver flatware or hollowware. Jensen crafted beautiful rings, earrings, bracelets, necklaces, and brooches, many of which were set with semiprecious gems such as amber, malachite, moonstones, and opals. Jensen sought to create completely unique, non mass-produced jewelry meant for the middle classes instead of the elite, for whom jewelry had always typically been designed. He did not use precious stones set in elaborate settings, opting instead for a sleek and minimalist form. 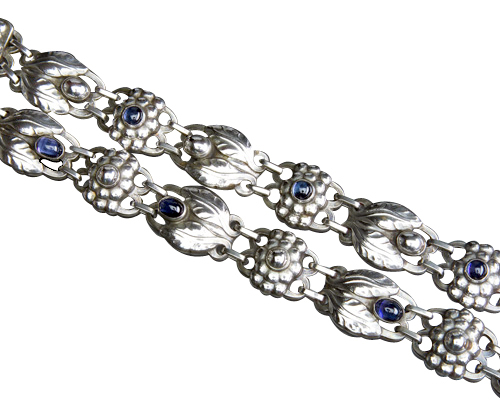 A Georg Jensen silver bracelet. Georg Jensen’s designs were influenced by natural forms and themes from nature. Some of his work is reminiscent of Art Nouveau, but his pieces also have a distinct Scandinavian flavor. In reaction to the mass produced goods of the Industrial Revolution, Jensen was determined to make everyday objects both beautiful and pleasurable to use. His sterling silver cutlery, tableware, ornaments, and jewelry were intended for the middle classes whom he felt would be inspired by utilitarian art. Shops were established in Paris in 1918, London in 1921, and in New York in 1924. Around the same time, Jensen relinquished administrative control of the silversmithy in Copenhagen, but he remained its artistic director. Jensen went on to win the Grand Prix at the World’s Fairs in 1925, 1929, and 1935, and in 1932, he was the only silversmith outside of Great Britain to exhibit at the Goldsmiths’ Hall. Next, we will delve into the groups that help regulate and set standards of use in Precious Metal Indices, Trade Groups, and Associations | A Brief Guide.